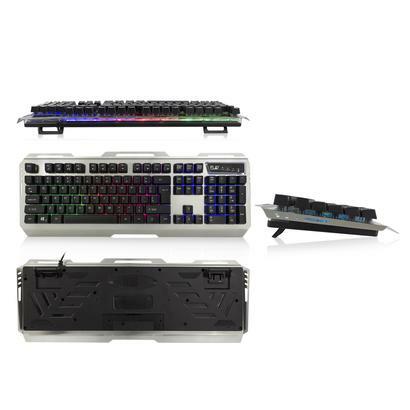 The Play PL3310 Gaming Keyboard is a robust metal gaming keyboard with 3 area-colour selectable illumination breathing effect. A solid gamers keyboard for hours of excellent gaming experience. 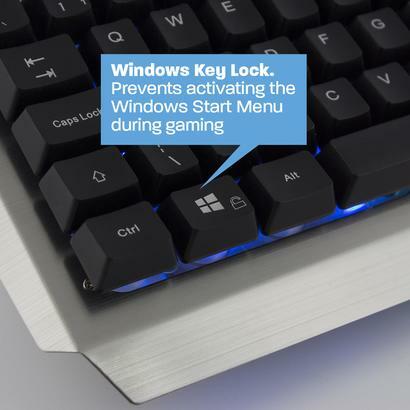 The Windows lock key disables the Windows key during gaming. 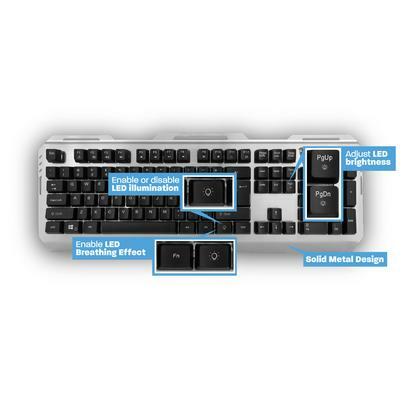 With the Anti-Ghosting keys you can register 19 keystrokes simultaneously. No tangled cable anymore with the tangle-free nylon braided USB cable. Your gameplay won't be disturbed when pressing the Windows Lock key. This lock key enables and disables the Windows key. The Windows lock key prevents you from returning to your Windows desktop and missing game action. Choose between 3 pre-set colour modes that will match your personal preferences. 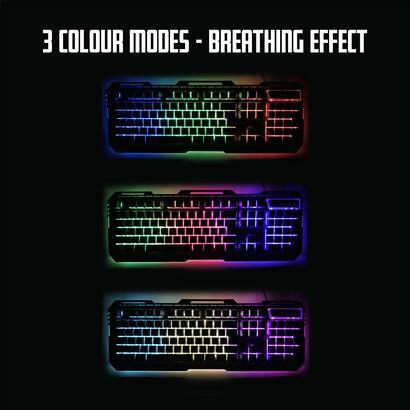 The Play gaming keyboard has also a three-area LED breathing effect. You can select the LED intensity and colour mode as you wish and if you do not want any illuminated background during gameplay then simply switch off the leds. 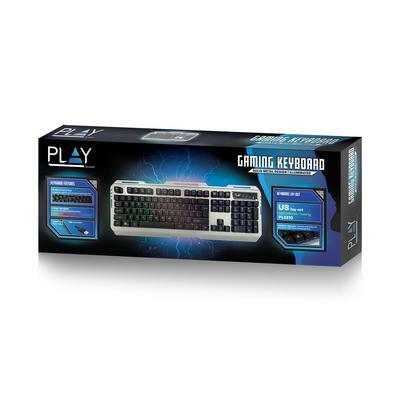 The Play gaming keyboard comes with Anti-Ghosting keys that are capable of registering up to 19 keystrokes simultaneously. For better control during gaming. 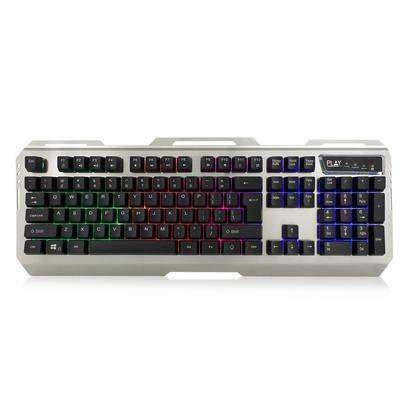 This solid metal full-sized keyboard comes with 12 Multimedia keys and is available in 6 different layouts. It has a tangle-free nylon braided USB connection cable.